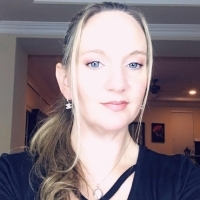 : I am a natural born psychic and have been helping others for 23 years! I am a third generation natural born psychic. I specialize in love and relationships but can help in all matters of life. love and family. I am honest, I will not give false hope or sugarcoat you’re reading in any way! I am here to help you, not to judge you. No question is too big or too small for me to answer. Is your relationship going to last? Are you on the right path? Are you with your soulmate? I have the answers you're seeking! Stop wasting time and call me now!! My grandmother and great grandmother were natural born psychics so this gift was passed on to me through generations of psychics in my family. My gift has has helped so many people all over the world. Now, let me help you!! I am honest and straight to the point. I will not waste your time! !